Year 2 – Story Swap! Last week as we finished our own chapters for ‘The Owl who is afraid of the dark’ we swapped classes and shared our stories with each other. 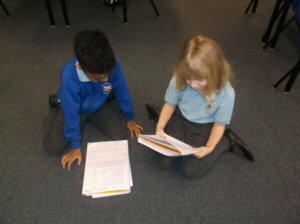 It was great to work together and we heard some fantastic stories with different endings!